Holy Family High School Room Dividers! 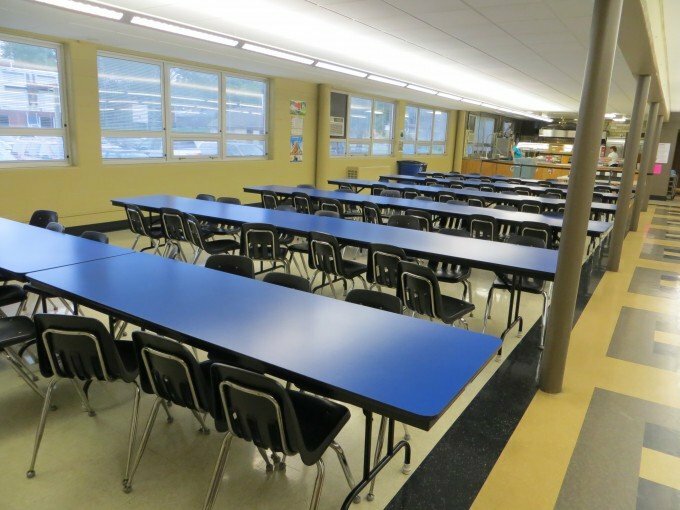 After a nice Thanksgiving break, some students returned to new classrooms in their cafeteria. Up until recently, two classes shared one large space. How could this transformation occur over one weekend? With Screenflex movable portable walls it’s as easy as 1…2…3. Pictured above is how this classroom looked before room dividers. Students were often distracted by teachers, students, and staff using materials in the back of the room. 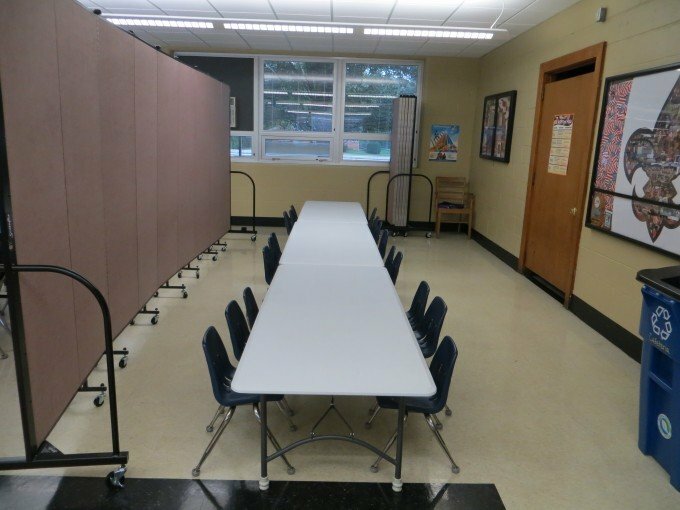 Using Screenflex dividers to divide the space, has helped instructors to visually block distractions from the other class that is using the shared room. As you can see in this photo, instructors can adjust the size of their room by placing a room divider between tables. In the first photo, six rows of tables are shown. Students tend to spread out if the table space is available. This allows an instructor to keep students closer together and maintain a classroom that is more conducive to learning. Dividers work to block visual distractions for students and their instructor. This is a great example/photo of how you can use Screenflex Room Dividers for dividing space in a classroom. One room can be divided into two spaces or more. What I love about using room dividers in a classroom is the flexibility. Let’s say your first class has 15 kids and your second has 30. You can adjust the size of your class with just one divider. 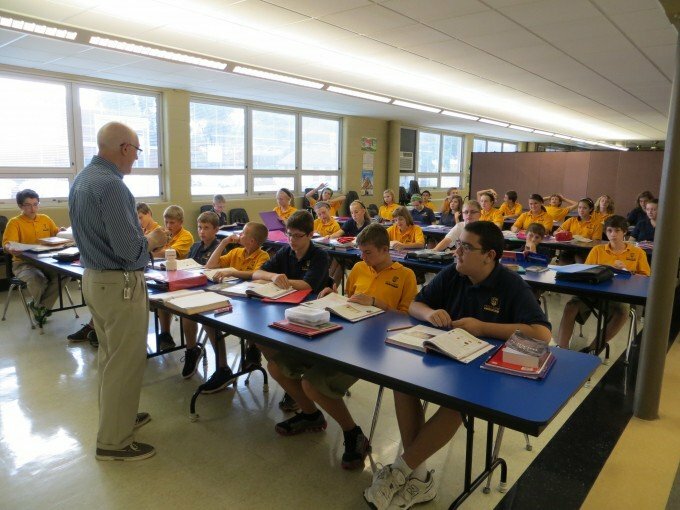 At times when enrollment exceeds the amount of classroom space, room dividers can create any number of classrooms and any classroom size you need. Try a Screenflex Room Divider for all of your room dividing needs. Top Ten Books Read Over The Past 50 Years?